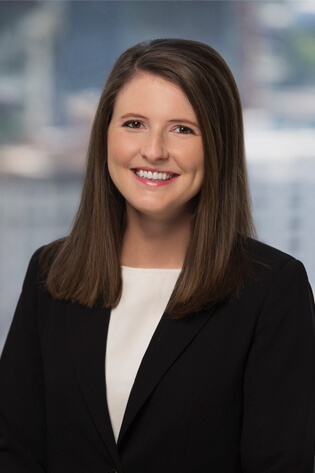 Lauren Grinder is an Associate in the Litigation Practice Group. She joined the firm after clerking for three years in federal district court for the Honorable J. Leon Holmes. While in law school at the University of Arkansas, Ms. Grinder served as a research and teaching assistant to Professor Robert B Leflar and also served on the editorial board of the Arkansas Law Review. Conducts legal research and analysis on various state and federal laws including the Class Action Fairness Act, the Family Medical Leave Act, the Fair Labor Standards Act, Title VII, 42 U.S.C. § 1983, the Arkansas Deceptive Trade Practices Act, and Arkansas common law. Assists with the work-up of multidistrict litigation cases for pharmaceutical companies and product manufacturers. Drafts various motions and briefs in state and federal courts. Hugh Jazz Supports the Scholarship Lottery: The Arkansas General Assembly Wrecks the Right to Ballot Initiative with Act 1413, 67 Ark. L. Rev. 781 (2014).